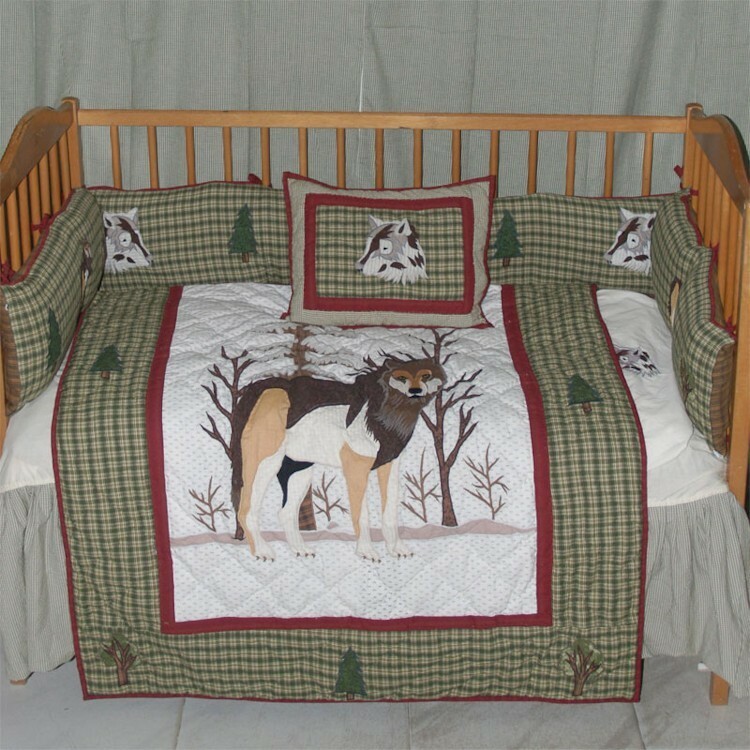 This rustic theme crib set will be the perfect accent to your nursery. 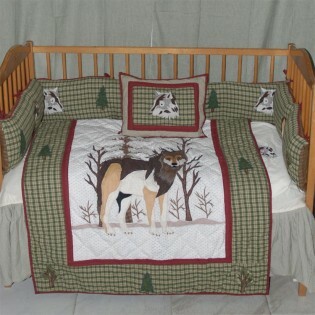 The Call of the Wild - Wolf Crib Set is made of cotton plaid with wolf and other nature applique. This colorful quilt is accented with a plaid border and bound in burgundy. The bedskirt and reverse side of bumper pads is plaid.